This evening is scheduled for a Critique by Stephanie Lisle. Stephanie Lisle has a degree in photography, has worked as a photographer for over 20 years, co-owns a large format printing company (Flash Graphics) and has owned & operated a photography gallery (The Bucks County Project Gallery). 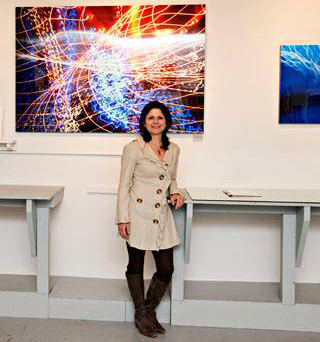 She is an independent curator and art event planner in Bucks County, Pa. Her focus is on the integration of the arts into the community by creating a cooperative blend of the arts with local merchants, organizations and educational institutions through the planning of events and modular exhibits. Stephanie also represents photographers through mentorship, art critiques, and portfolio reviews. Upload two images to the CPC website using Member Login, then use the drop down to Club Member Information. You may have questionable images, but you can use your good/best images for the critique. This critique will be interactive. Name: Start with your first name and last name initial then add 01, and 02. (ie, DianneR001, DianneR002). Upload at this point. Log out when completed. If you have any questions, please use the CONTACT link on the website. Either Dianne Rose or Janet Hickey will call you to assist.